New Mexico EPSCoR created a video about the STEM Advancement Program for the 2017 NSF STEM for All Video Showcase, and the video is now live! 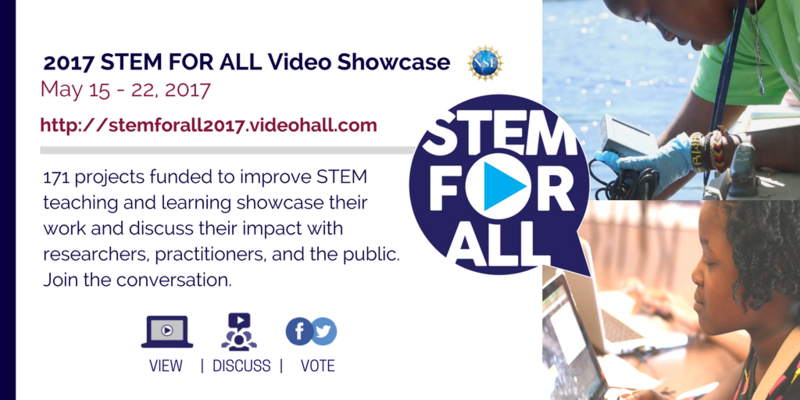 The STEM for All Video Showcase features 171 NSF and other federally-funded projects through three-minute videos of their innovative work to improve STEM and CS teaching and learning. This event showcases cutting-edge NSF-funded work as well as work funded by other federal agencies aimed at improving teaching and learning of STEM, and encourages communities to learn about and discuss each other's work. It will also allow each project to disseminate their work to the public at large, helping NSF achieve its goal of broad dissemination of innovative work. During the week of May 15–22, please help us by watching and voting for our video, then sharing it with your friends, families, and networks. You can also join the conversation by leaving a comment, asking questions, and sharing through social media. You can find our STEMAP video here, and you can click here for all the videos in the showcase.